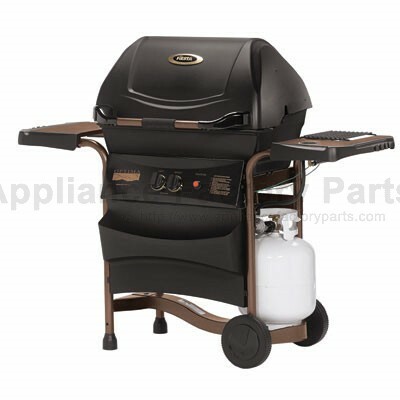 Fiesta Gas Grills Optima? Cooking System, for direct, indirect and convection cooking. 40,000 BTU stainless steel burner system allows you to control two temperature settings in your grill. Auto-Ignite? is an electronic ignition system that is integrated into the control knobs to automatically ignite your burners. Die cast hood and cooking base. 400 square inches of primary cooking surface. Upper or lower warming racks. Porcelain cast iron cooking grids. Integrated condiment basket and large weather-resistant side shelves. We're adding new EZD45055-BC407 parts all the time, contact us for pricing and availability.